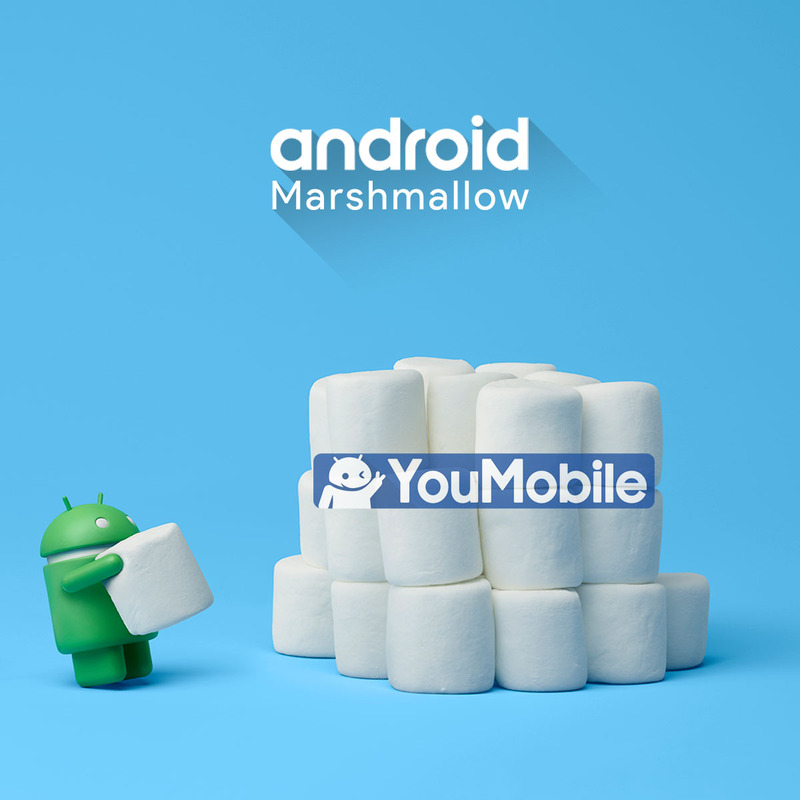 The Latest flavour of Google's Android OS is the Marshmallow 6.0 which made official on September,29th. This release is focusing more on services integration, battery life improvements and user control, Google also updated the Material Design guidelines on this release with some minor changes. We gathered everything you need to know about Marshmallow in one place... Here's the Full official change-log and Key features list of the Android 6.0 Marshmallow. - Now on Tap: get assistance without having to leave what you're doing-whether you're in an app or on a website. Just touch and hold the home button. - Do more with your voice. Now you can have a dialogue with any of your apps that support the new voice interaction service. For example, if a user says "play some music on TuneIn," TuneIn will respond by asking "What genre?". - Direct Share: a fast and easy way to share to the right person in the right app. - Doze: when your device is at rest, Doze automatically puts it into a sleep state to increase your standby battery life. - App Standby: no more battery drain from seldom used apps; App Standby limits their impact on battery life so your charge lasts longer. - USB Type C support: Quickly transfer power and data all through the same cable. Lightning fast charging gives you hours of power in just minutes. 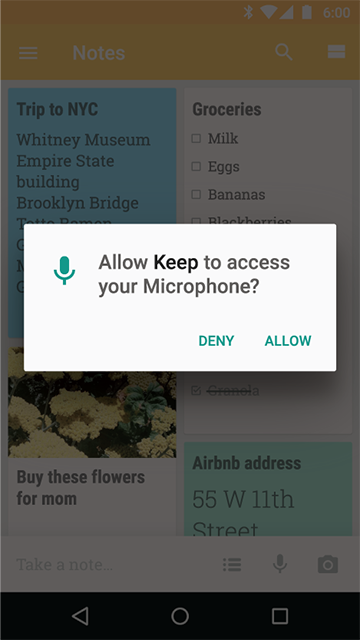 - On an Android Marshmallow device, apps designed for Android Marshmallow only ask for permission right when it's needed. You can deny any permission and still continue to use the app. - Advanced controls to turn permissions on or off for all your installed apps. - Verified boot: when your Android device boots up, it will warn you if the firmware and Android operating system have been modified from the factory version. 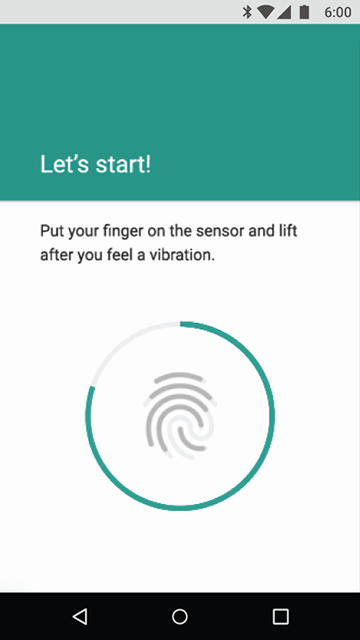 - Use fingerprint sensors to unlock your device, make purchases in Google Play, authenticate transactions in apps, and pay in stores. - Improved application performance and lower memory overhead for faster multi-tasking. - BluetoothTM stylus support, including pressure sensitivity and modifier keys. - Improved typesetting and text rendering performance. - Smarter text selection, built-in undo/redo, and text actions closer to your fingers. - Save paper with duplex printing support. - App links: enables installed apps to automatically handle their web URLs so you can jump right into the app, rather than the mobile web site, as appropriate. - Easily toggle and configure Do Not Disturb from quick settings. - If someone calls you twice within 15 minutes, you can choose to allow the call to ring through while Do Not Disturb is enabled. - Use automatic rules to enable Do Not Disturb for as many custom time blocks as you like or around events on your calendar. - Simplified volume controls allow you to manage notification, music, and alarm volumes easily from anywhere with the touch of your volume keys. - Streamlined Settings let you manage an app's settings all in one place, from battery and memory usage, to notifications and permissions controls. 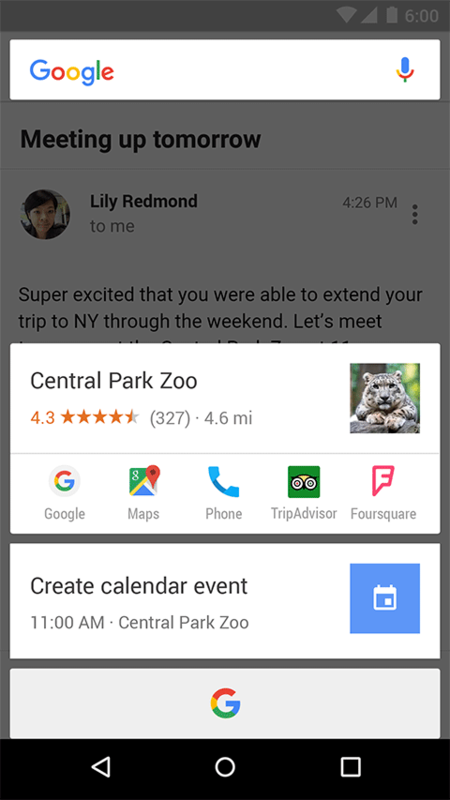 - Google Now Launcher app list refreshed with search, fast alphabetic scrolling, and predictive -- App Suggestions. - More power efficient Bluetooth Low Energy ("BLE") scanning for nearby beacons and your accessories. - Hotspot 2.0: Connect to compatible Wi-Fi networks seamlessly and securely. - Bluetooth SAP: Make calls from your carphone using your phone's SIM. - Portable Wi-Fi hotspot now supports 5GHz frequency bands. - Flex Storage: makes using SD cards or external storage devices as encrypted expanded storage for your apps and games on Android Marshmallow a whole lot easier. - Easily transfer your accounts, apps and data to a new device. - Auto backup for Apps: seamless app data backup and restore. - Backup/restore of additional system settings such as your Sync settings, preferred apps, Do Not Disturb settings, Accessibility settings and enabled IMEs. - MIDI support: create, consume, and perform music using your Android device with USB MIDI devices, MIDI over BLE, and software-based MIDI devices. - Android is now available in 74+ languages with 6 new additions: Azerbaijani, Gujarati, Kazakh, Albanian, Urdu, and Uzbek. - When receiving calls or viewing past messages, you can now see the full work contact details even if you're not logged into your work profile. - Work status notification: A status bar briefcase icon now appears when you're using an app from the work profile and if the device is unlocked directly to an app in the work profile, an alert is displayed notifying the user. - VPN apps are now visible in Settings > More > VPN. Additionally, the notifications that VPNs use are now specific to whether that VPN is configured for a work profile or the entire device. Doze is a deeper state of sleep, especially useful for Android devices like tablets that spend a lot of time laying idle on a night stand, only to be picked up at night. By hibernating apps and allowing only for alarms and priority notifications to stay awake, Android M brings significant improvements to standby battery life, extending it up to twice on a Nexus 9 unit that Google tested.